Wouldn’t it be nice to have a trimmer line that delivers precision cutting and doesn’t wear easily? From MTM, manufacturers of Professional Brushcutters comes this great new deal; 100 x long lasting, economical Pre-Cut 35cm Square Edge Trimmer Lines, which delivers the best results in cutting tough stubborn grass and scrub! MTM Trimmer Line is designed to have a superior sharp square edge, which cuts first hit compared to dull round edge line. 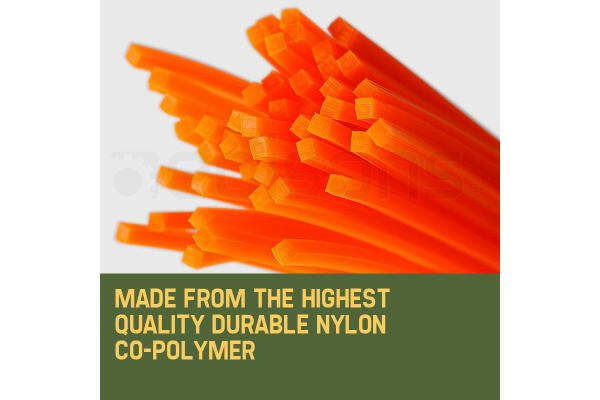 Made up of premium Nylon co-polymer, MTM line has been extensively tested to withstand the toughest backyard – engineered for ultimate impact resistance. Perfect for cutting low or thick grass and producing exacting edge lines, this exciting new range is fast becoming the contractors and serious home gardeners choice. 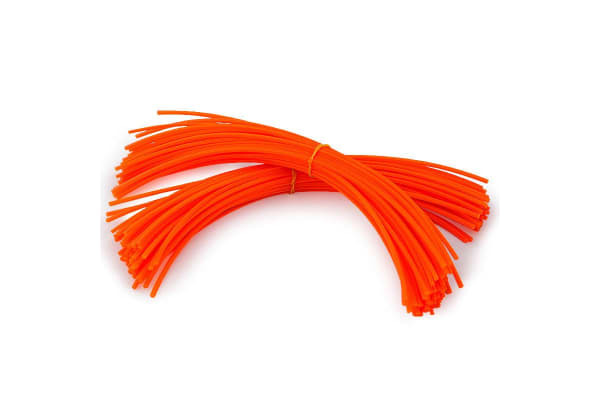 Bright Orange for easy visual accuracy, commercial 3.1mm diameter and pre-cut to suit just about any commercial head – finally you’ve been heard! Purchase in bulk and never mess around cutting fiddly line again – BUY NOW!